Precision components provide safe and leak free fluid dispensing from cartridges. This aluminium adapter fitting converts the standard universal air cap for use with the 20oz retainer body. Feed fluids and pastes from cartridges under pressure. 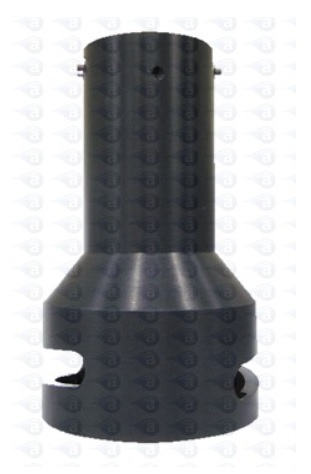 Adapter fitting to convert air cap part # 918-000-036 into a 20 Ounce system. Made from aluminium. Bayonet leak free attachment. Includes rubber gasket. Safe for use to 100 psi. If you are planning to use 20oz cartridges, you also require air cap 918-000-036 and retainer 101-20R. These parts are for use with G series products only. All guns, retainers & accessories are covered by a 12 month manufacturers warranty against fault. High pressure rated to 100 psi. Robust design with reinforced fixings. Supplied each.